US Ambassador to Israel David Friedman points out that Hamas praises terrorists, Palestinian Authority rewards them financially. 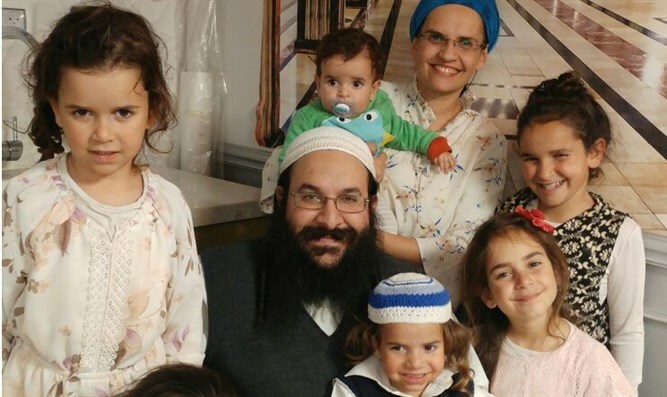 US Ambassador to Israel David Friedman on Wednesday morning responded to Tuesday night's terror attack, in which Rabbi Raziel Shevach, a 35-year-old father of six was murdered in cold blood. Rabbi Shevach was murdered in a shooting attack as he drove near Havat Gilad in Samaria, and the IDF is currently searching for the terrorists. "An Israeli father of six was killed last night in cold blood by Palestinian terrorists," Friedman said. "Hamas praises the killers and PA laws will provide them financial rewards." "Look no further to why there is no peace." He added that he is "praying for the bereaved Shevach family." Rabbi Shevach will be buried in Havat Gilad, and the funeral is expected to start at 1:00p.m. on Wednesday. His widow has asked that "the entire nation of Israel" attend.